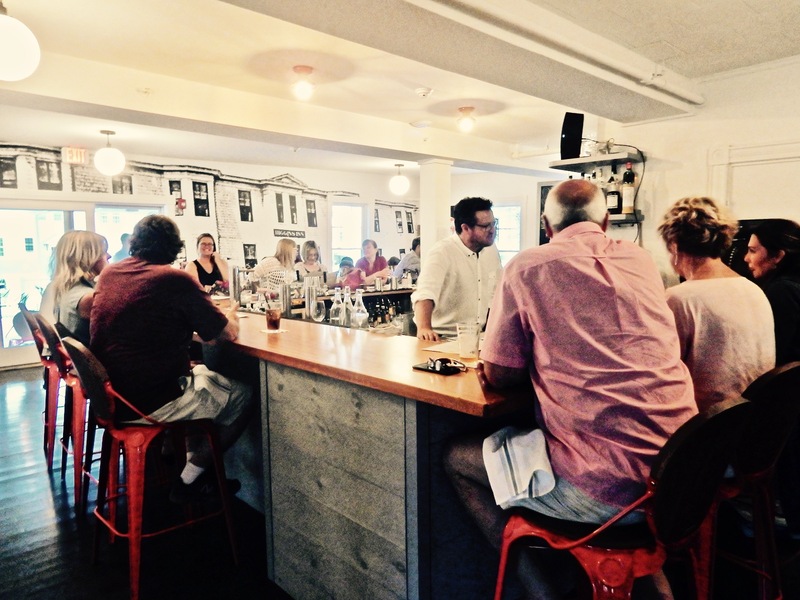 I was sitting at the bar in Shade, the new house restaurant at the just-redone Higgins Beach Inn, a boutique hotel 15 minutes from Portland ME, having a nice chat with the bartender and a couple of lovely women I’d just met. It was 9pm on a Thursday night in June, and all the tables were taken, with more people waiting; ergo, my choice of bar stool. Plus, I was traveling alone and wanted company. “I hope you don’t write about this place,” said my new friends, sisters who each own a summer bungalow a block away. “We want it for ourselves.” I flashed that smile I use when I can’t quite make a lasting promise. There’s no way I can keep my mouth shut about this obviously beloved establishment. 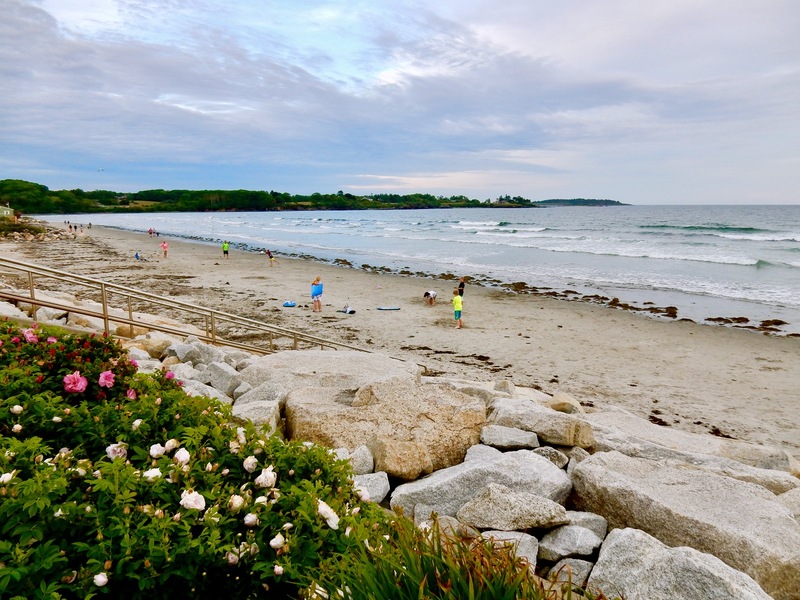 A block from one of Maine’s most popular sandy shorelines, the Higgins Beach Inn has been a favorite of beachgoers since 1923 – even as it inevitably fell into decline in recent years. 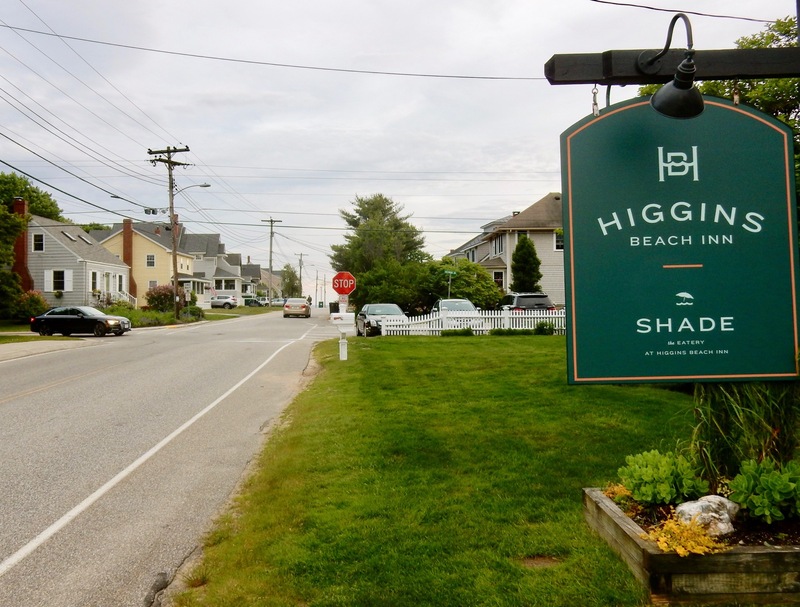 In a residential neighborhood, locals were anxious to see what the new owners – the Migis Group (which also owns 250 Main in Rockland, Migis Lodge on Sebago Lake, and the Blackpoint Inn nearby) – would do with the place when they took it over last year (2016). 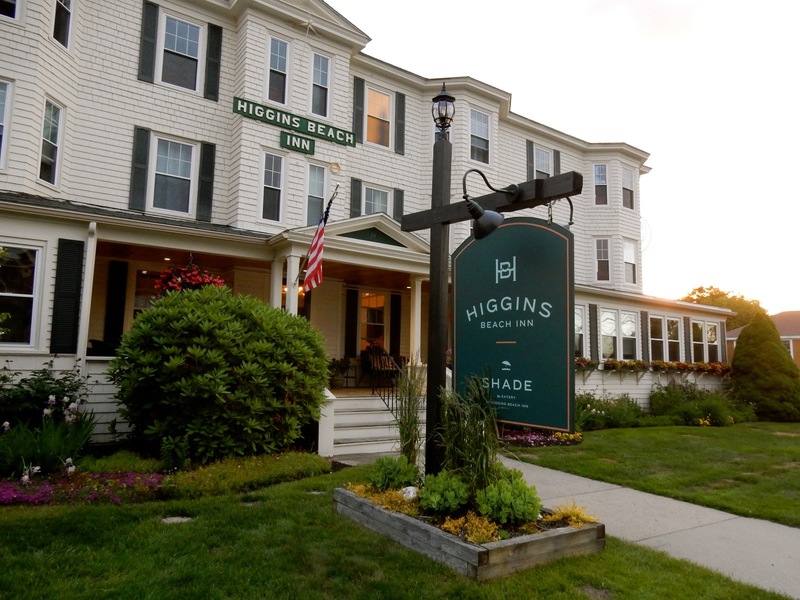 I’m happy to report that the new Higgins Beach Inn is a wonderful redo – with fresh, modern beachy-clean rooms and an excellent new restaurant. Walk up the steps to the veranda into a small reception area. One friendly employee welcomes you, hands over the key to your room, and draws your attention to the decadent, freshly baked cookies on the counter, “take one.” If it’s dinnertime – the lobby will be mobbed with patrons either emerging from or entering the in-house restaurant, Shade. This festive atmosphere is proof of an increasing neighborhood embrace. 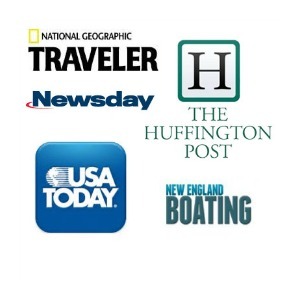 These customers are not, for the most part, tourists. Many walk here from within a few square blocks. And the place has only been open 2 weeks. 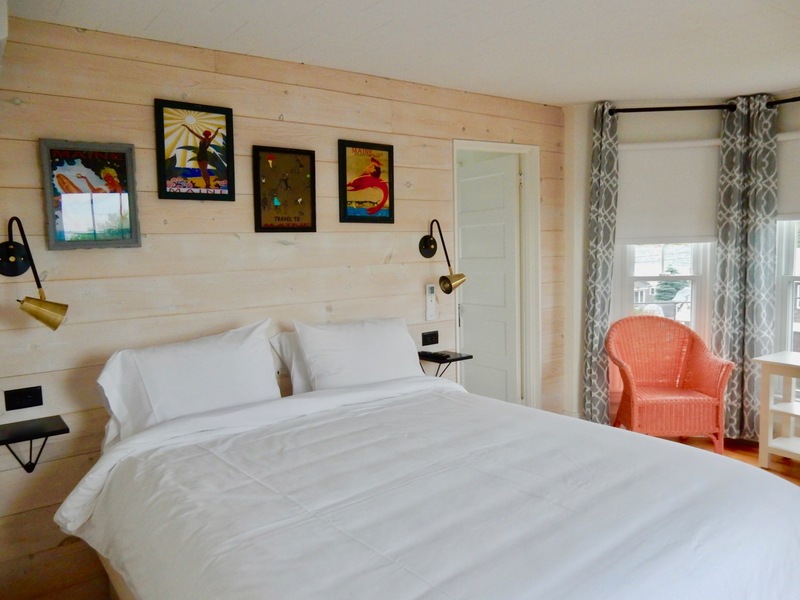 Guestrooms at Higgins Beach Inn have been recreated as bright, fresh, poppy chambers, but interior designers left some of the building’s old character alone. 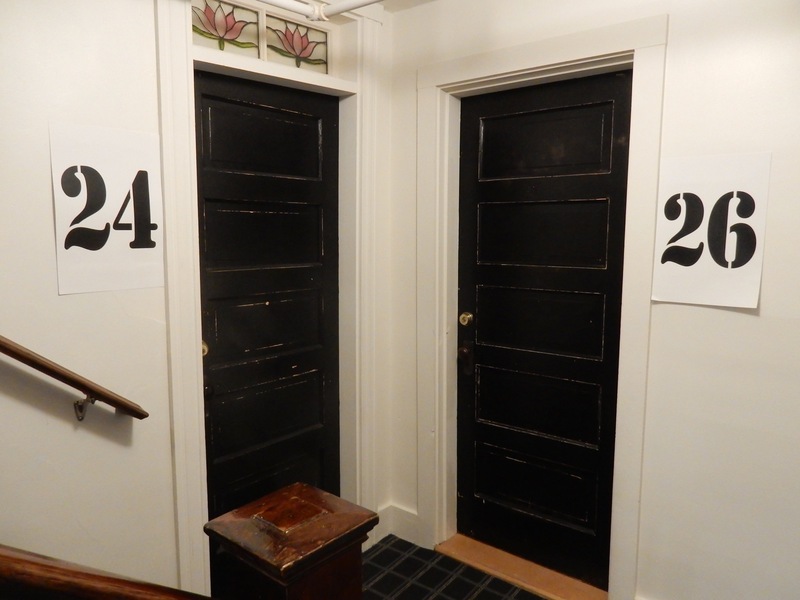 Stairs and hallways hark back to the good old days, though with fresh paint and new carpeting, leaving old squeaky warped floors and wooden stair handrails and banisters that have seen generations of guests. Polished hard wood floors gleam, contemporary grey and white curtains let in just the right amount of light when closed (though there are also black out shades), and the white-duvet clad beds are heavenly. Coral hued faux-wicker chairs and Maine Travel artwork on bright white walls add a punch of color. 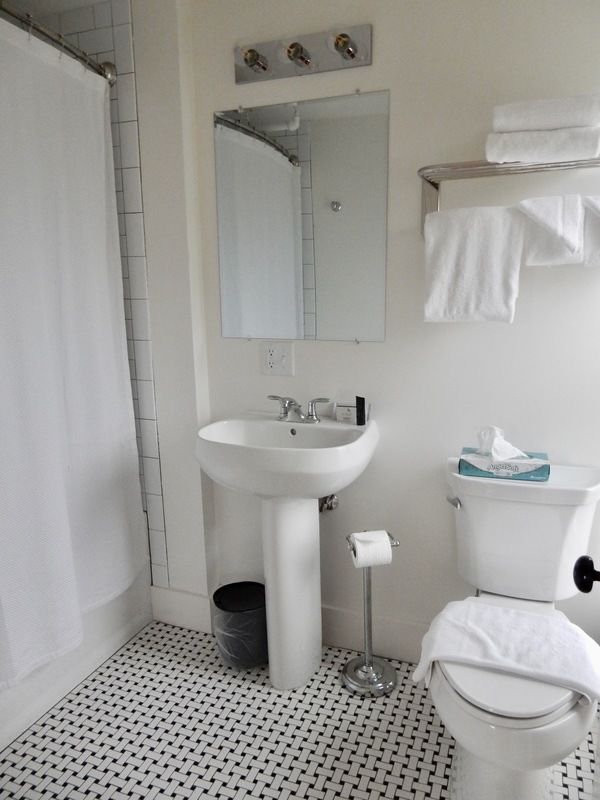 There’s a small cubby for hanging clothes (no closet), an empty glass bottle for drinkable water (receptionist asks you to bring it downstairs so she can fill it), and a small bathroom with new subway tile in the shower and old, restored black and white basket weave mosaic floor. Though not classically luxurious, it’s beautiful, clean, breezy, and adorable. I never underestimate the appeal of clean and adorable in refreshed hotel rooms, especially when prices are low compared to other resort hotels. Shade is one fun restaurant, with a lively open bar in the middle of the room commanded by Irish bartender, Evan, who can raise the spirits of (and serve same to) any and all weary travelers. 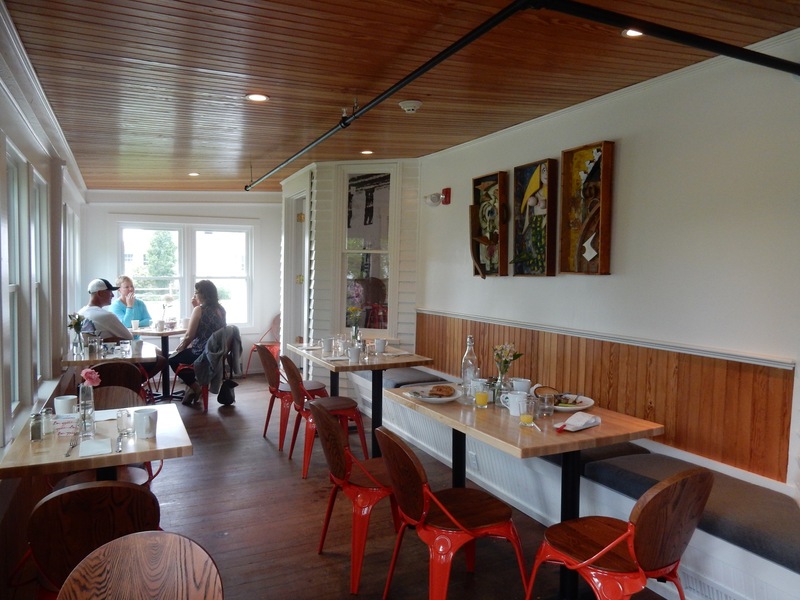 There’s an outside deck and a small room where the front veranda used to be – now enclosed – outfitted with Butcher-block tables rimmed with funky red steel and wood chairs. In the morning, select from a comfort food breakfast menu – Buttermilk Pancakes, Bagels and Lox, Corned Beef Hash, Cinnamon French Toast – complimentary with the room. By night, Shade turns hip and trendy, but not as crazy-expensive as a resort beach town can be. It opened in late May 2017 with a bang, and two weeks later, solely by word of mouth, crowds continue to increase. That’s the mark of a good restaurant with great service and food. Though you can get Steak Frites ($24), Shellfish Stew ($24), Damariscotta Oysters ($16 for 6, $30 dz. ), New England Fish and Chips ($20) and other seasonal dishes, my fave was the perfectly charred and seasoned Grilled Chicken Sandwich on Ciabatta ($14) with goat cheese, pesto, and roasted red peppers. 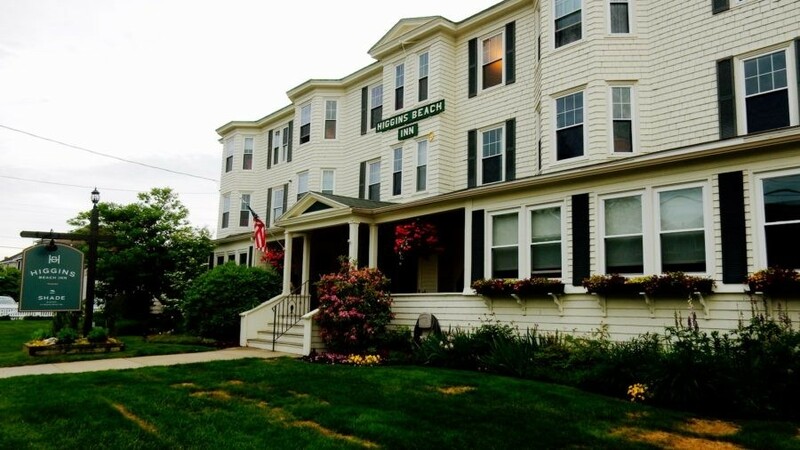 Rooms from $189 low season to $329 high season include hot made to order breakfast.